RISING ABOVE THE EAST RIVER, AND IN THE REFLECTION OF THE MANHATTAN SKYLINE, A NEW MONUMENT WILL EMERGE. Situated on the western edge of Greenpoint, Brooklyn, The Gibraltar is a compelling new development project that will possess startling views of the East River and the Manhattan skyline. Led by the thoughtful and experienced minds of Saddle Rock Equities (a company that brings a unique approach to each venture) and Eisner Design (an award-winning, LEED accredited firm with decades of experience in New York), the building will contain 20,000 SF of space that will be spread across 6 stories and 14 gorgeous loft condominiums, all of which will sit behind a façade of Equitone Grey and beneath a Sunny Brook paved roof. Like the building itself, every apartment has been designed with an eye towards sustainability, a dedication to wellness, and an innovative approach to building materials. Apartment features will include beautiful, 6-inch wide oak hardwood floors, an expansive, private balcony, 12-foot ceilings, custom kitchens designed by Porcelanosa (with pure white Caesarstone countertops, a Fisher & Paykel refrigerator, a Bertazonni oven, and custom made cabinetry), and radiant heated floors in all bathrooms. 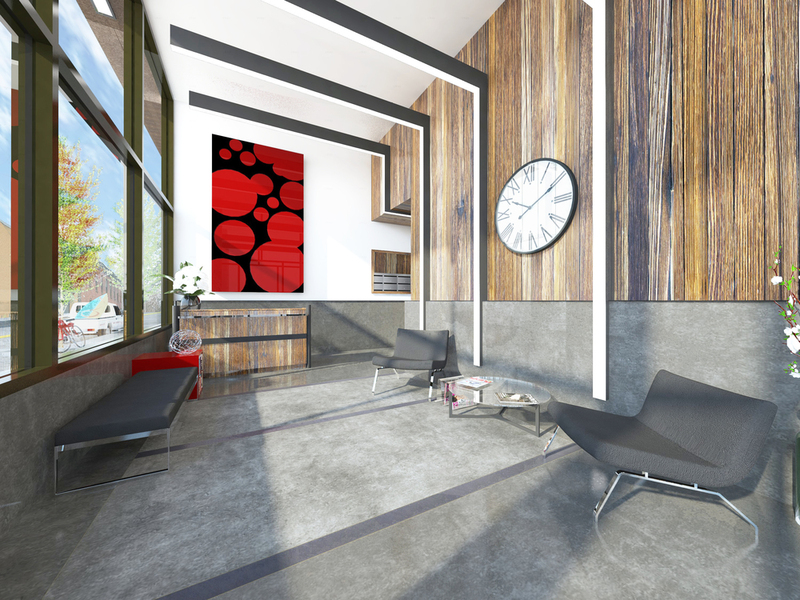 And as a nod to the neighborhood’s industrial past, the building lobby will be finished in modern luxurious finishes. The Gibraltar is expected to be completed in Fall 2016.